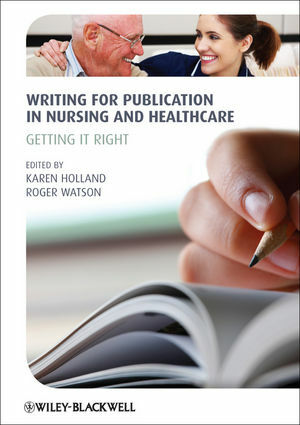 Offering guidance, tips, examples and activities, this practical how-to book written by experts in the field is essential reading for all nurses and healthcare professionals. Karen Holland is a Research Fellow in the School of Nursing, Midwifery & Social Work at the University of Salford. She is the Subject Chair for Nursing/Health Professions on the international Content Selection and Advisory Board (CSAB) of SCOPUS Elsevier and has a varied publishing background. She is Editor of Nurse Education in Practice journal and author /editor of published articles and books. Roger Watson is Professor of Nursing at the University of Sheffield. He is also Honorary Professor in the School of Nursing, Hong Kong Polytechnic University, Adjunct Professor in the School of Nursing and Midwifery at the University of Western Sydney, Australia, Visiting Professor in the Tzu-Chi College of Technology, Taiwan, and Honorary Professor in the School of Nursing and Midwifery at the University of Queensland, Australia. He is editor-in-Chief of Journal of Advanced Nursing.